The raffle will be broadcast on Tuesday in streaming through the Federation Cup website. The tie will be played from April 20 to 21. 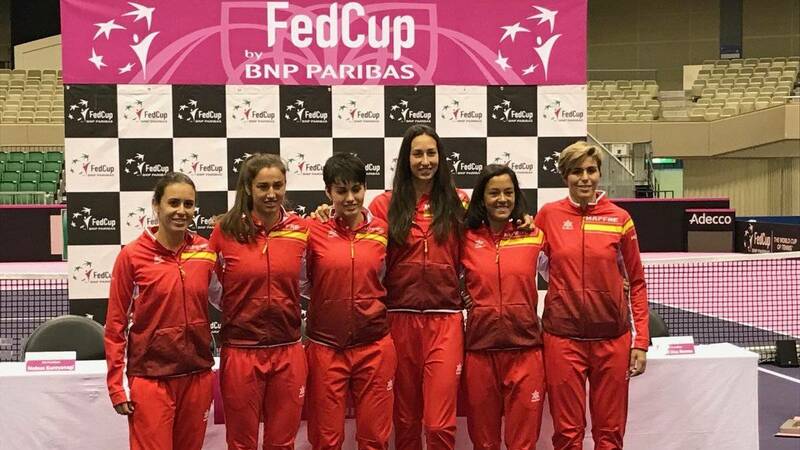 The Spanish tennis team already knows its possible rivals to fight for the promotion to the World Cup Federation Group. The ITF has announced the teams participating in this playoff of World Group II, whose pairings will be defined tomorrow with a lottery at the venue of the ITF in London at 13:00 Spanish time. This draw will be broadcast in streaming through the Federation Cup website: FedCup.com. The teams listed as seeded have been established in the latest ranking of Fed Cup nations updated today. These selections, possible rivals of the Spanish team captained by Anabel Medina are: Czech Republic (1), United States (2), Germany (3) and Belgium (4) . To join Spain, there are three other countries that will fight for the promotion against seeds: Canada, Latvia and Switzerland. In the playoff of promotion to Group II, the seeds (Russia, the Netherlands, Great Britain, Slovakia) will be measured at: Brasil, Italy, Japan or Kazakhstan. In As for dates, these promotion elimination rounds will be played from April 20 to 21.. The same days will also be played the semifinals of the Federation Cup between Australia and Belarus and France against Romania.